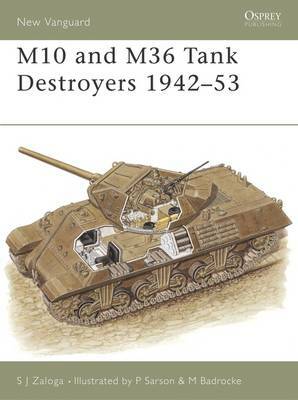 The US Army had a unique tactical doctrine during World War II, placing the emphasis for tank fighting on its Tank Destroyer Command whose main early-war vehicle was the M10 3-inch Gun Motor Carriage, based on the reliable M4A2 Sherman tank chassis. This durable and versatile vehicle saw combat service from the North Africa campaign in 1943. By 1944, its gun was not powerful enough and it was rearmed with the new 90 mm gun, becoming the M36 90mm Gun Motor Carriage. This new tank destroyer was introduced in the fall of 1944, and was one of the only US armoured vehicles capable of dealing with the Panther and Tiger during the Battle of the Bulge.